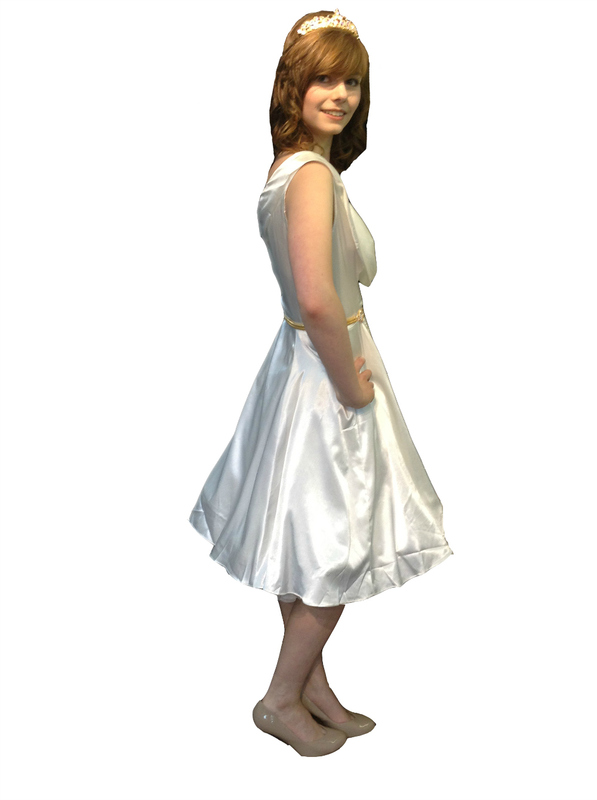 We present the Ivory Satin Vintage 50s Petula Prom Dress in UK Sizes 8-16 in a flattering midi style dress. With pleating to the bust, and a collar to the back of the neckline, this dress is truly unique. 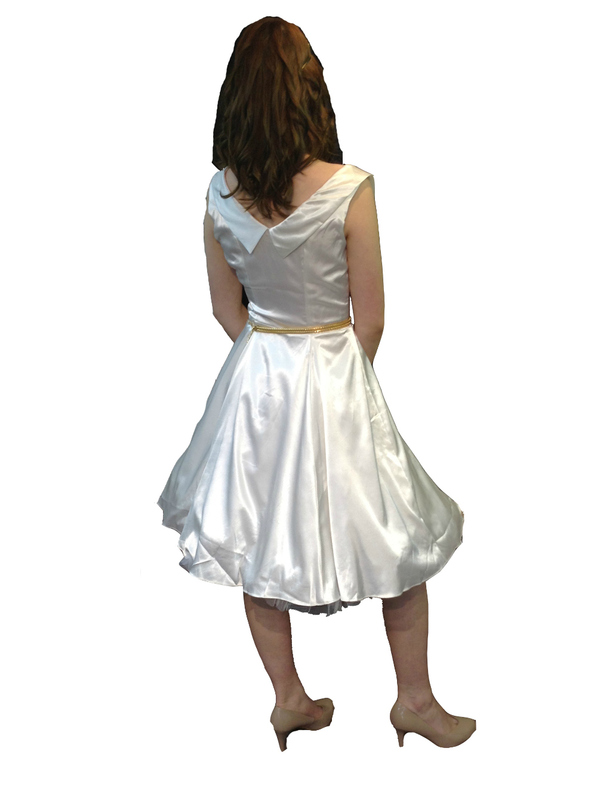 The Ivory Satin Vintage 50s Petula Prom Dress screams the 50s era with the signature flared skirt and cut, which gives an added dose of vintage flair to this dress. This 50s Petula Prom Dress will create an hourglass shape to propel you to another level at your upcoming party. The fabulous cut and striking design make this dress an absolute pleasure to wear and the Ivory Satin Vintage 50s Petula Prom Dress will captivate any occasion and is perfect worn as prom dresses, bridesmaids dresses, wedding reception dresses and many more event types.